There is no reason for a GMAT student to ever use Barron’s. That it is very stark and unequivocal piece of advice. But Barron’s does such a poor job of attempting to impart GMAT wisdom that I feel I must warn the masses by being as plain as I can: avoid this book. That Barron’s is such a travesty in GMAT is a surprise, considering that it does a decent to good job of presenting a host of other tests. But if you are reading this post, you do not care about the SAT. 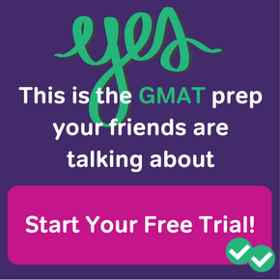 You care about the GMAT. And if you want to be prepared for the mix of artistically crafted questions—painstakingly wrought to provide for optimum trickiness—the last thing you want to do is any of the practice questions that the Barron’s guide tries to pass off as GMAT questions. 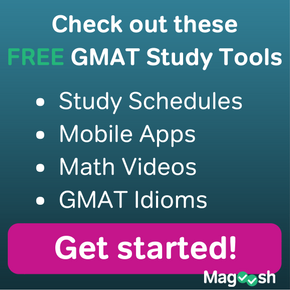 Some of the material in here is enlightening, but isn’t necessarily relevant to GMAT. The Critical Reasoning section delves into areas of logic not touched on the GMAT. The Fallacies of Relevance are totally irrelevant. Ad Hominem attacks on the GMAT? And teaching anyone the word Amphiboly, while omitting even the basic Critical Reasoning question types is criminal. The Reading Comprehension sections also omits the usual helpful strategies and focuses more on reading comprehension techniques that would helpful for high school students looking to take a state test. Math strategies tend to be basic. That makes sense, given that many of the practice questions are quite basic. If you want actual GMAT questions, you may be hard-pressed to find a single one in this book. Barron’s is so consistently oblivious of how to write a GMAT question, I wonder if they ever cracked open the Official Guide. More likely they followed some rubric for writing standardized test questions that they assumed would apply to one of the most grueling graduate exams. The math section is slightly better than the Verbal. Some helpful strategies and exercises—at least for those who haven’t seen the test in years. For more advanced tips and practice, look elsewhere. While I do like that they rate problems with a one to three star rating (1 for the easy; 3 for the difficult). 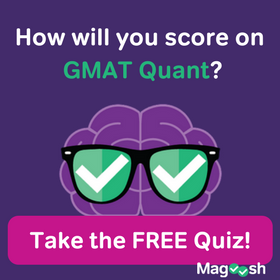 What is saliently absent are questions with the complexity of GMAT questions. And I do not just mean dense word problems (though those are also missing), but questions suggesting a diabolically clever mind was behind them. In other words, Barron’s provides a bunch of relatively straightforward questions that won’t help you deal with the deviousness of real Data Sufficiency and Problem Solving questions. The first time I flipped open the Barron’s GMAT guide, I thought I was looking at the wrong book. Had I opened a TOEFL book? Nope. Barron’s apparently thinks that the GMAT tests very basic grammar, eschews convoluted sentence structure, and tends to underline only a few words. I feel sorry for those who bought this book, only to be utterly shocked test day. Critical Questions are difficult to write. Very few publishers do a good job. Barron’s clearly isn’t one of them. Passages are relatively straightforward and will not prepare you for the rigors of the GMAT. The passages are an inconsistent batch. Some have that GMAT-ish feel to them, presenting opposing theories on some laughably arcane topic. Most, however, are just dense and dry, but do not necessarily put forth a theory on a topic. The worst feel that they were plucked from an Encyclopedia. The questions are definitely more consistent. Unfortunately, they are consistently bad. I’m reminded more of state entrance exams or poorly written SAT material. Questions such as: The best possible title for the passage is are not even found on the GMAT. I really cannot say with any confidence that the authors of this book even bothered to flip through The Official Guide. If they did, they clearly weren’t inspired and seemed more intent on writing a dubbed down, duller version of the GMAT. Stay away from Barron’s. There is nothing in this book that will help anyone who is serious about doing well on the GMAT. What books should I use then for both GRE and GMAT? And what editions? I used Barron’s AP Guide in high school and I thought they did fairly well. What books, or software do you suggest? Barron’s is pretty strong for high school AP stuff. They are okay for the Revised GRE and definitely serve as a decent introduction. You’ll get sufficient practice with their exams. The thing if you really want questions to prepare you for the more difficult questions you’ll see, I’d recommend the MGRE on-line tests (you can access them by purchasing a MGRE guide).